scheduled a conference call for 6am Arizona time, thinking I’d squeeze in an exercise class at 7am. Confusion about time zones led to a delay, which meant the B in bleisure overtook the L. But, all in all, the day was super-productive. I got more done than I usually do in a conventional office. Bleisure Living Tip: Even if you tell people what time zone you’re in, remind them a few hours before your scheduled meeting time. Breakfast is the most important meal of the day, no matter where you are. I’m not one to shoot/post pictures of my food, but the spa breakfast (see feature photo) was pretty amazing — and super-healthy. 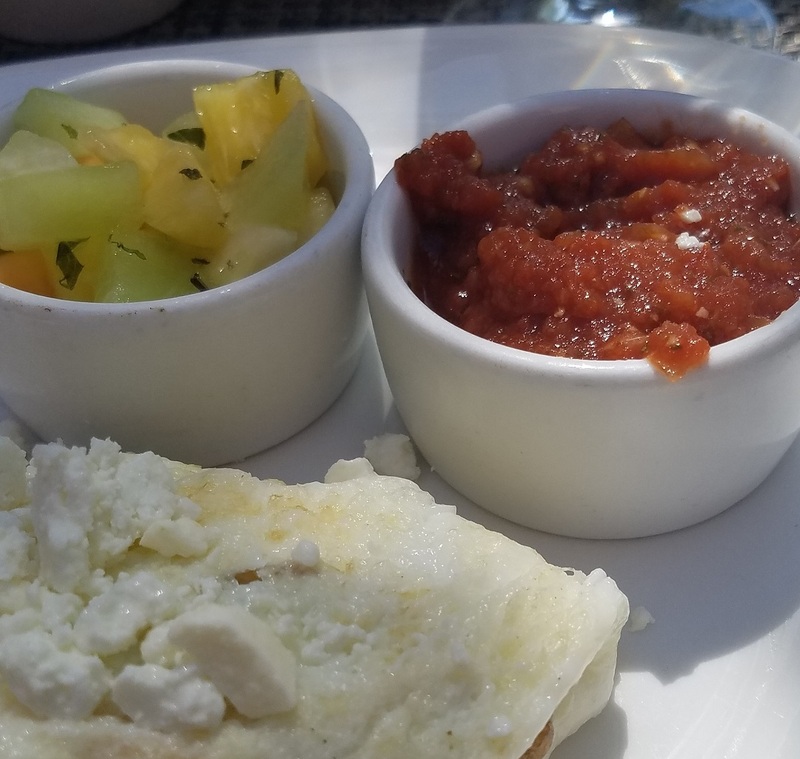 I don’t often get pineapple and salsa with my eggs! Bleisure Living Tip: Eating healthily on the road is often tough, but clean food helps you focus…and you won’t hate yourself when you get on the scale in-between trips. I refrained from phone calls today because I got scolded yesterday when I took an “emergency” call from my bookkeeper. I apparently disrupted the Aquasize class, which could have led to an accidental drowning. But yes…I admit. I was “that inconsiderate jerk” at the pool yesterday. Lesson learned. 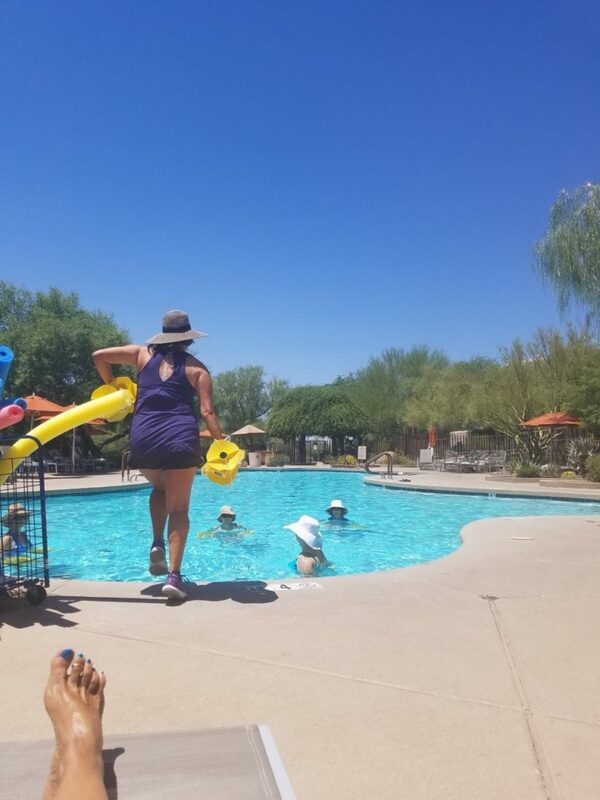 Plus, I made a couple of new “friends.” A couple at the pool told me about their early retirement from entrepreneurship and their travel adventures. 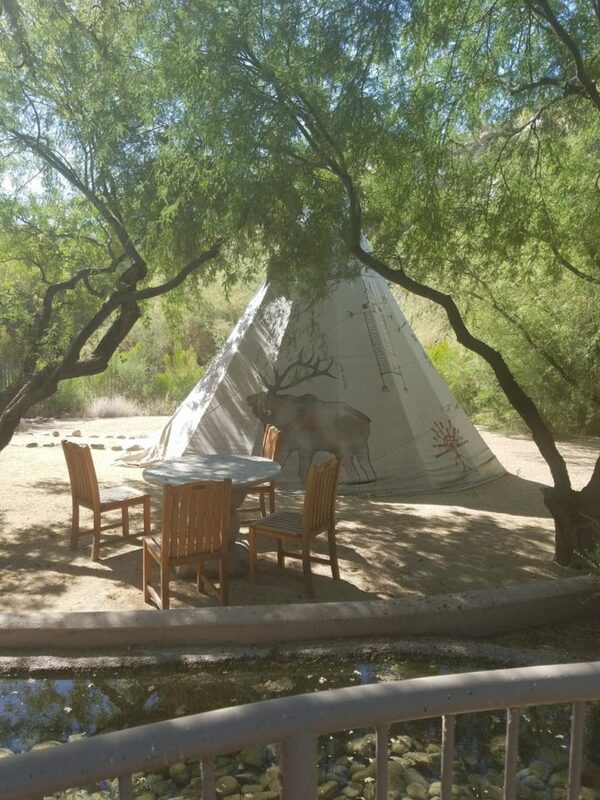 A woman at dinner sells technology and she gave me lots of new insights on business, Arizona, javalinas, and life. Last night, I spoke to a fellow bleisurite at the bar. He confessed to tacking a day on to the conference to get away from the “fam” and treat himself to a massage. Men bleisure too! Bleisure Living Tip: Do not disrupt leisuring guests when you’re bleisuring with business chatter. But, if they talk about work first, feel free to compare tips and swap business cards. You never know who you might meet — and where.